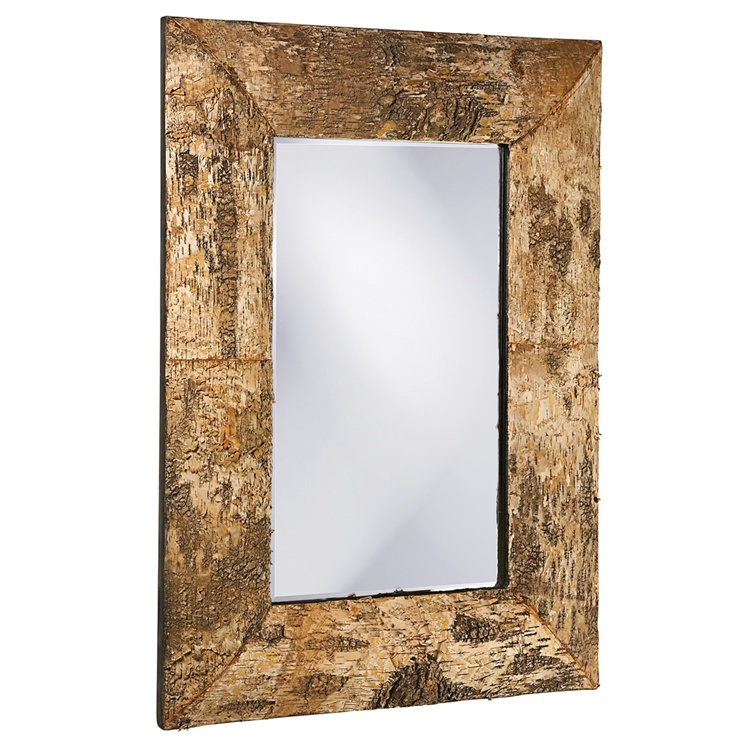 The Kent Mirror features a simple rectangular frame fashioned from natural birch bark. Perfect for your (but not limited to) rustic or lodge look. The Kent Mirror is a perfect focal point for any design. Hang in either a horizontal or vertical orientation. The mirrored glass on this piece has a bevel adding to its beauty and style. Customizable for larger orders.